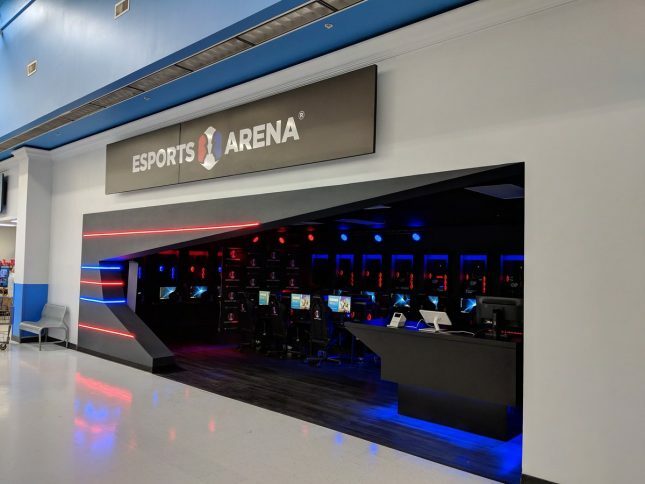 Walmart hit up the folks at Esports Arena about a year ago to inquire about bringing the Esports Arena experience to the Walmart shopper. The concept was to develop miniature Esports Arenas inside Walmart stores. Five stores will be getting the gaming centers in them and each will have about 25 gaming PCs in them. Three arenas are open now and they are located in Colorado Springs, CO, Roseville, CA and Spokane Valley, WA. Walmart also wanted Esports Arena to bring their own gaming PC line to market. Called Overpowered, the line of gaming machines will be exclusive to Walmart. Overpowered gaming models consist of six different models (3 laptop and 3 desktop). Every laptop comes standard with a 144Hz gaming display. omprise one desktop and a pair of laptops. The base OP Gaming Desktop is called DTW1 and it comes with an Intel Core i7-8700 CPU, NVIDIA GeForce GTX 1070 GPU, a 256GB SSD, 2TB Hard Drive and 16GB of DDR4 memory for $1399. The next model up is the DTW2 and it has n Intel Core i7-8700, NVIDIA GeForce GTX 1080, a 512GB SSD, 2TB HDD and 32GB of DDR4 memory for $1,899. The flagship DTW3 model appears to have all the same specifications as the DTW2 with a faster GeForce GTX 1080 Ti graphics card for $2,099. The laptops will come in 15” and 17” variants with pricing starting at $999 and topping out at $1699. All offer 144Hz screens and GeForce GTX 10-series GPUs (1050 or 1060). OP Gaming laptops are using either an Intel Core i5-8300H or i7-8750H CPU. 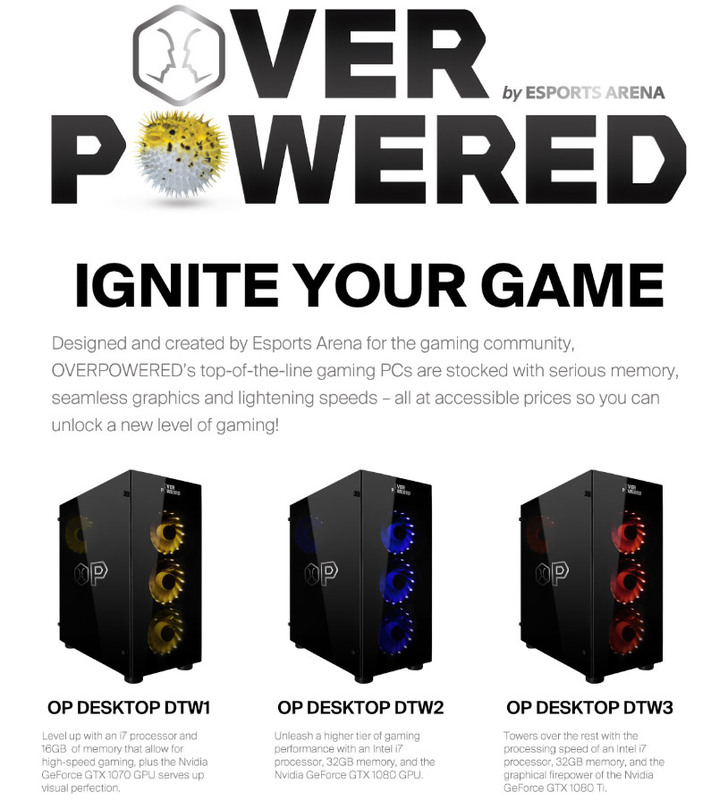 You can find out more information about the systems here and here about the Esports Arena locations.